This 2002 GMC Sierra came in with charging system complaints that I showed the repair for in an earlier post. Now I want to show how the whole situation could have been avoided if the installer had followed simple instructions. To see that repair please click here. 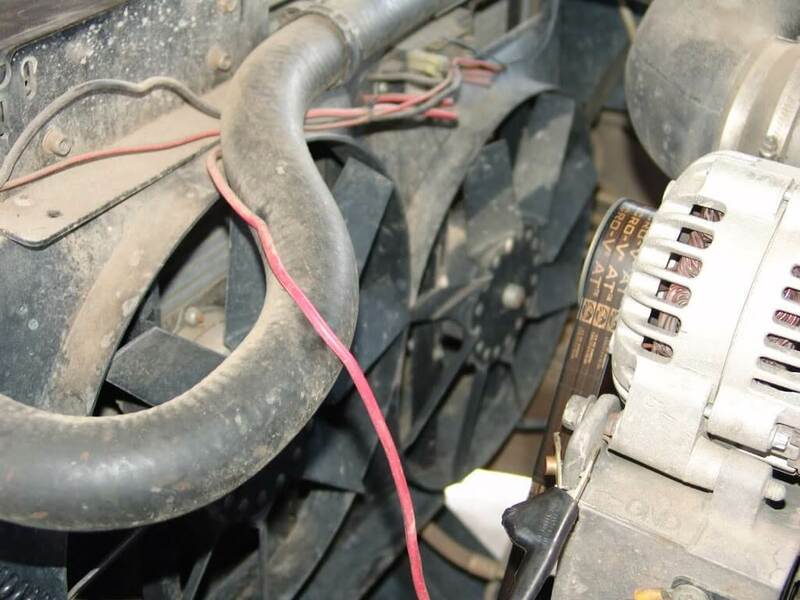 If you recall the owner had installed electric cooling fans and removed the mechanical fan assembly. 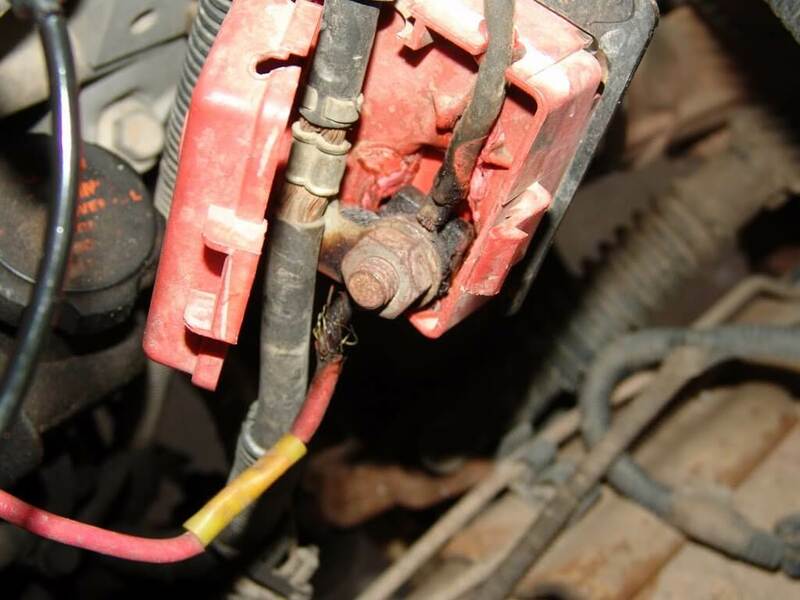 Improper wiring had lead to melting of the positive battery cable junction block. 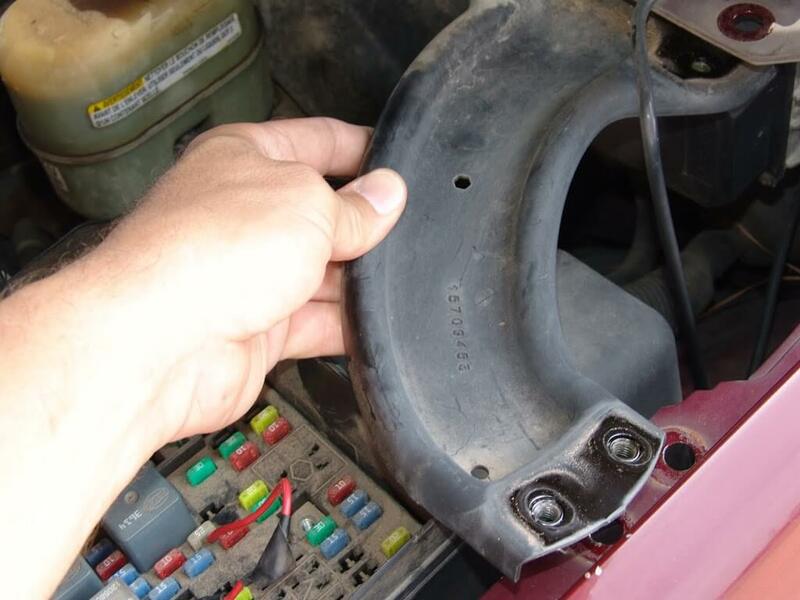 It is very easy to wire in extra circuits on later model Chevrolet and GMC trucks and SUV’s. Start by removing the corner bracket. 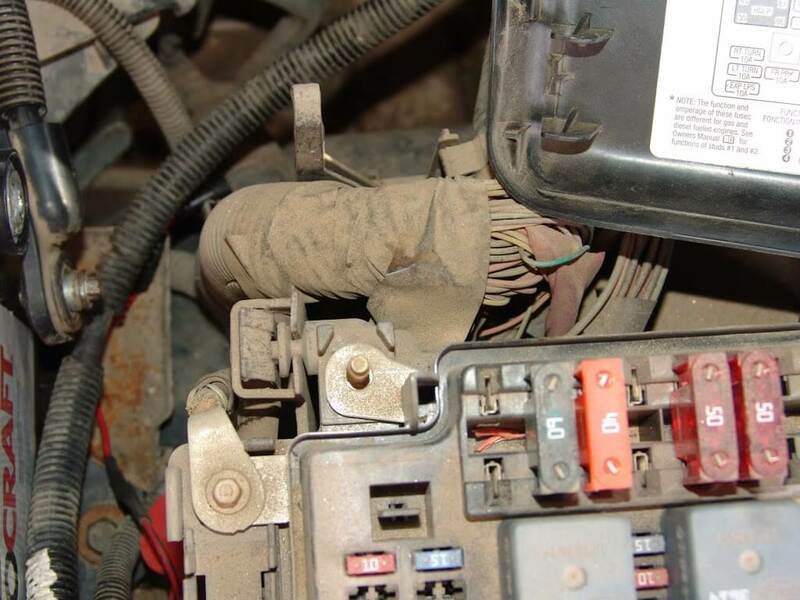 This will allow you to lift the cover from the underhood fuse box. 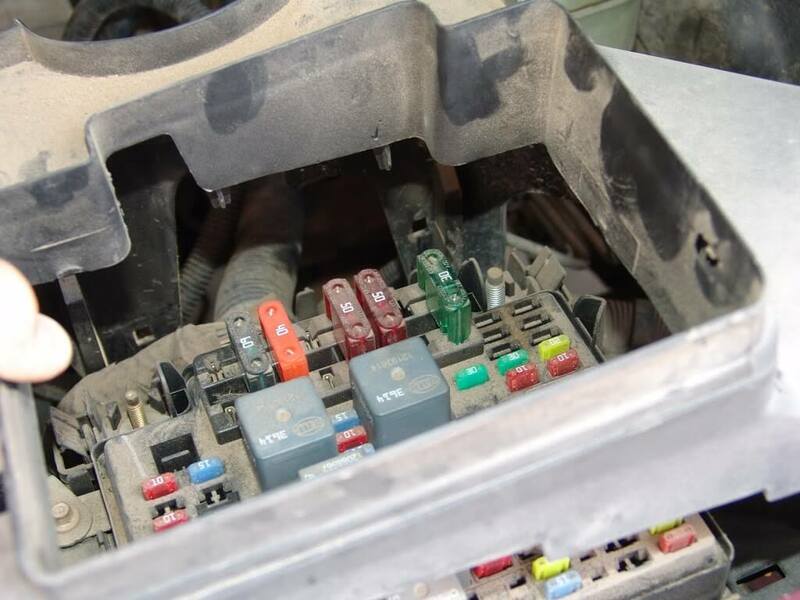 With the cover removed you will find studs with nothing attached to them and empty Maxi fuse holders. 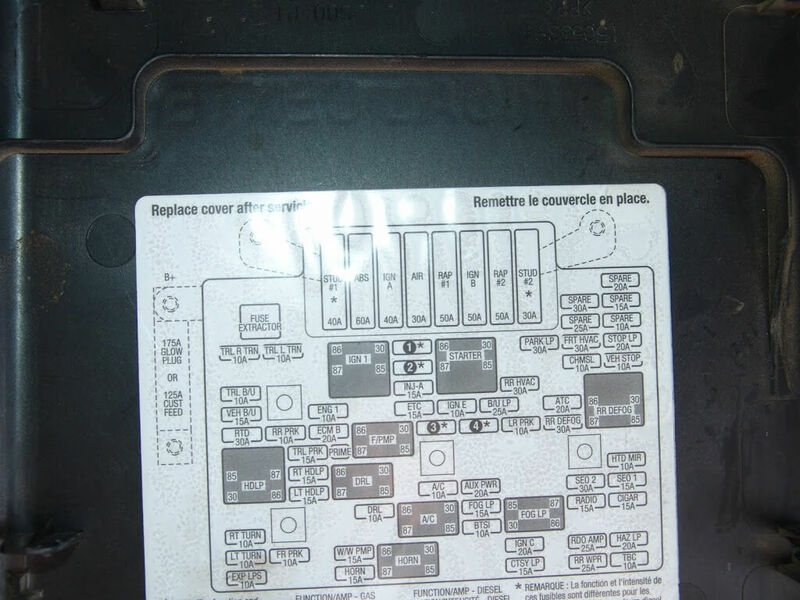 There will be information about these circuits on the inside of the fuse box cover. You can see I installed a 40 amp Maxi fuse (orange) and at the bottom left you can see the wire that I attached with a ring terminal and heat shrink tubing (red wire). If you look up towards the center of the fuse box you will see where the installer had just jabbed a wire in under a fuse. This is just trouble waiting to happen. I have to get a picture of a great fuse tap that allows one to add a circuit with ease and it will not damage the fuse box. 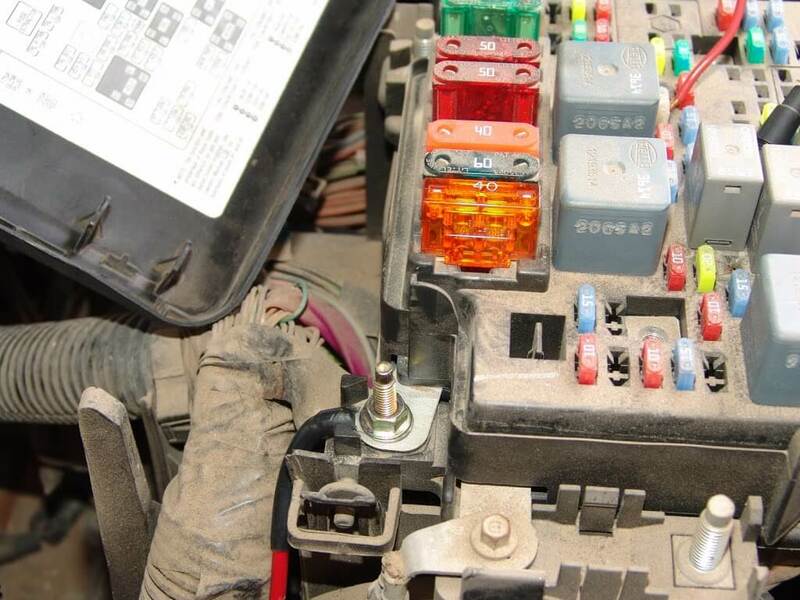 To find fuses and fuse holders please click here.